How do I get my kids to write stories? You may wonder if that is exactly possible, but truth is that you can get your kids to write stories if you guide them early enough. Teaching your kids to write stories at a very early age is one of the most precious gifts you can give to them. 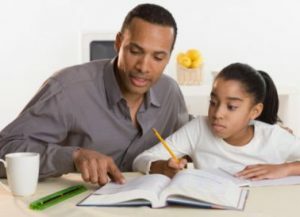 As a parent, teacher or a guide, it is one of your sole responsibilities to fane in the kids the innate passion to become writers because this will broaden their horizon from a tender age. Help the kids to be comfortable around writing materials and get them involved when you write by asking them to pass a pen, or the notepad, let them see you write. Always encourage them by telling them stories that interest them. 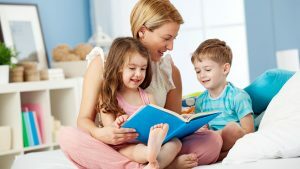 This article will show you some simple ways that you can apply that will help your kids to write stories. Read well-known tales aloud to them regularly. Let the stories be short and something they already know. Kids do not get bored like adults, they are always excited to hear a story that is why kids have favorite stories because they form images all the time in their mind. When your kids are young, tell stories to them in the car, the doctor’s office, in shopping malls, in the kitchen and when you carry them. Tell stories with everything that the kid can relate to and see how they react. This will begin to open the kid’s creative minds’ eye to the things around them. And try and make them tell the characters in the story. This is important because it ensures that the kids understand and follow the story. This is one effective way to get your kids to write stories because they become fascinated by a lot of things. Make the kids identify the beginning, middle and end parts of each story told. This allows process allows the kid to be more attentive and they participate in the telling process of the story. Help the kids to see how the story relates to them. Get to see to expression and reactions of the kids as they participate in the story being told. Participation is key because it lets you know if they really have an interest in the story or not. It is important that these kids see you write because kids learn faster when they see you do what you tell them to do. Try as much as possible to write in the presence of the kids, compose notes for them and put the notes in their launch box, write thank you notes and tell them what it means and if they show any sign of taking the pen from you encourage them to write anything down, then cheer them up. When your kids see you write and because of the inquisitive nature of children, they want to do what they see you do. This is just the motivation they need early that will grow in them the desire of the kids to write stories. Provide writing materials for your kids such as pens, chalk, markers, paints, etc. If the kids know their alphabets allow them to type in your computer and set up writing time with them but make it fun time also because you all should together. Put all the writing materials together in handy places where they can easily be reached by the kids. This is just one of the ways to get your kids motivated to write stories. A writing environment is also a reading environment because reading and writing go hand in hand. Make your home both a reading and a writing place because most definitely the kids will become attracted to what they see you do. Writing and reading naturally becomes birthed in their minds and because they want to please you at all times you will successfully wane them into writing. This is a sure means to get your kids to write stories in the shortest time possible. Plan to write with your kids as often as possible maybe thrice a week but it should be for short periods of time and allow them to pick the choice of stories they want to write about. After that allow them to tell the various events of the day at school, a cartoon they saw after which you make them write about those events they talked about. And encourage them all the way till they can start making coherent stories. Make the right corrections in their grammar and sentences. Do not force knowledge down their throat because writing should be seen as fun and because it is seen as fun you will successfully get your kids to write stories without struggles. When the kids write any story ensure you print them and have a time together where it is read out and the right adjustments are made. When the kids see that what they wrote was printed it encourages them to write even the more. Kids just love to have a good time, so make the kids write stories as often as you and ensure they read and see what they have written. Make the prints bold and always make the kids take full credit for the great job they have done and let them show the printed writings to friends and family. This would make the kids believe in themselves more and become proud of what they have done. I tell a truth from experience, kids are always motivated to do the things they are excited about. If you have successfully imprinted in their heart the desire for them to write something then they will be fired up to write a story. Kids love to write, play, and be creative. So if you can motivate the kids to write stories then you have successfully taught them something that they will cherish for the rest of their lives. Writing is something that can never become obsolete. It is a very interesting life and when you teach your kids to write stories they become part of life preservation of the present for the future. A book will outlive its writer and you have built a legacy for generations to come. So the importance of writing cannot be emphasized. Catch your kids young to become writers.